As my series of interviews with playwrights, whose work have featured in Tiata Fahodzi’s, African Play Reading Festival comes to an end, I would like to introduce you to Lizzy Dijeh. 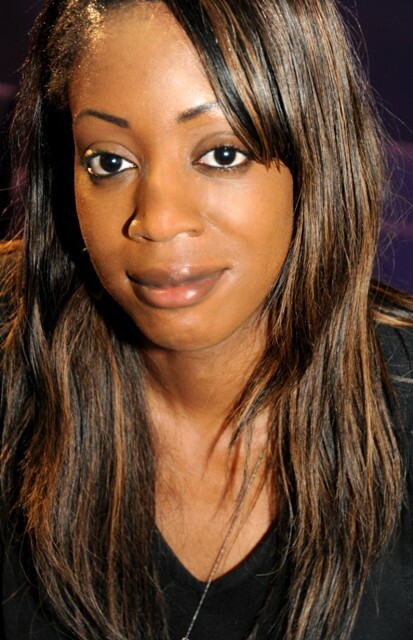 Born in London, to Nigerian parents, Dijeh has been described as an astute writer, whose plays speak of and to our era. In her own words, Dijeh explains why she wanted to write a play about post-colonialist, post-Civil War Nigeria. Belinda: Elaborate on your relationship with the stage as a medium of expression on multiple facets? Lizzy Dijeh: I remember my first introduction to the theatre as being a class trip to see Hamlet and was instantly struck by the ‘live’ element of theatre and the sense of immediacy and provocation it can evoke in the response of an audience. There is a strong accessibility to the audience as a writer (and vice versa) that I suppose a novelist for example wouldn’t necessarily get with their readers. What I also love about my relationship with the stage is the very fact that it is, in every sense of the word, a multi-faceted medium of expression in that as a writer it allows me to work collaboratively with different art-forms on stage e.g. digital, physical, photographic etc as well as developing work with actors, directors and a variety of theatre spaces. They can all feed into the process of something I’m developing, which is a very amazing thing. Belinda: What’s the inspiration behind your play, Message from A Far Country? Lizzy Dijeh: I should start by saying that Message From A Far Country isn’t based on any real-life people, groups or situations! However, it is the culmination of a collection of themes, ideas etc that I have been stewing over for many years. For a long time I have wanted to write a play that touched on the Nigerian Civil War of the sixties (which holds particular significance for me as many members of my own family were there during the four-year conflict and I grew up listening to many stories connected to that war and the suffering its victims endured). I think one of the things I found interesting about the way these stories were told (many of them first-hand accounts) was how, in spite of the long-term effects of that war, many of the people caught up in it were so able to move on from it and not let what happened to consume them or their future offspring. It wasn’t until early adulthood that I even properly understood what ‘Biafra’ was! In the wake of a rapidly changing terrorist landscape I wanted to write a play, in the context of a post-colonialist, post-Civil War Nigeria, that would highlight the dangers of some of those ‘affected’ victims of war who still cling to the pursuit of some kind of salvation and the challenges that can present for the next generation of youngsters who are bound culturally to that suffering without themselves ever having experienced it. Belinda: How would you describe the work Tiata Fahodzi is currently doing and what should the audience expect from this year’s festival? Lizzy Dijeh: Very culturally diverse in terms of the African-inspired work it presents but also in a way that ensures it is open to an all-inclusive audience. I think the key word to describe the ‘delights’ that this year’s festival will bring is ‘journey’. Although I have yet to see all the offerings, from what I do know, there is a real sense of exploration in each of the plays this year and I for one am very much looking forward to the many discoveries we’re sure to find along the way. Lizzy Dijeh: I’ve always believed that, whilst it is important to hear different voices in British theatre, it is more important what that voice is actually saying than where it came from. However, one can not dismiss the huge contribution that Africans have made and still continue to make to the multicultural landscape of modern Britain today. I think it would be both unwise and unrepresentative for British theatre not to reflect this on their stages especially if is committed to attracting new audiences and making theatre a more all-inclusive environment. Belinda: And how crucial are theatre companies like Tiata Fahodzi in bridging that gap and making that happen for the writers and audiences alike? Lizzy Dijeh: Very crucial. 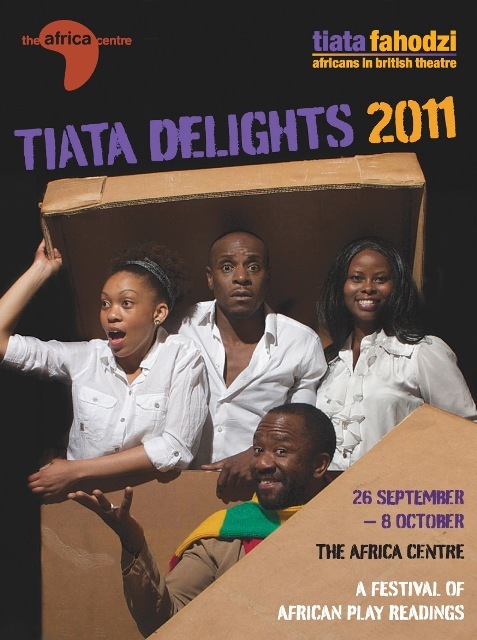 For many writers of African-inspired work who are still learning, developing their craft and who need support, guidance and a chance or opportunity to get their work onto British stages theatre companies such as Tiata Fahodzi has been a real life-line. Yes, some progress has been made in recent years with some such works finding their initial outings on a main-stream stage but this still presents an all too small minority and there is still a lot more work to be done – something that companies like TF are more than capable of ensuring. We have already seen this proven by TF’s successes with plays like ‘Blue/Orange’ at the Arcola and ‘Iya-Ile’ at Soho Theatre. I think, particularly in light of the recent funding cuts in the Arts, companies like TF are important and essential facilitators in this process and will continue to be for a long while yet. Belinda: Tiata Fahodzi has come a long way with its mission to produce world class theatre which conveys, celebrates and challenges the cultural experiences of Africans. Serving an all-inclusive British audience, this year, you are among a host of writers from across the board, Kenya, Zimbabwe and Nigeria. Why is it important to have a cross section of representation of the African experience from different African nations based on the stories you have to tell as individual writers? Lizzy Dijeh: I think, just as it’s important that British theatre should reflect it’s multicultural landscape by including and involving all ethnicities, it is equally important that within these ethnicities, in this case the African experience, a cross section of the nations within this should be given a voice too, after all, we all have stories to tell that may be specific to our own countries of origin. Not only is that educational but it really does enrich the traditions of story-telling for that all-inclusive audience. Lizzy Dijeh: I think the problem many writers like myself find in trying to tell stories that are inspired all or in part by the African experience is finding a theatre willing to stay committed to it and see it through to full production. The path of a play to a full-scale production at a mainstream and even a fringe venue is an arduous one and regardless of its cultural status is beset by many potential ‘derailments’ along the way, but I do find that, for a reason not all that clear to me, British theatre still appears to exercise a degree of hesitation in embracing and developing work of an African slant. It can be done and has been but the path there is more difficult than it ought to be. Belinda: The line up of plays this year explores various themes, from love to relationships among others. Your play explores the themes of multiculturalism, tribalism, patriotism and extremism. A) What was it about life as an individual, who belongs to two cultures where alliances are called into question that you wanted to explore in your play? Lizzy Dijeh: I have always been interested in the disparities that exist between cultures and how these disparities can shape and influence our identities, desires, motivations and ultimately our decisions. As a London-born child of immigrants myself, I’m keen to explore the challenges in reconciling the differences that exist between recognising and promoting my Nigerian origins with the Westernised landscape that I grew up and still live in. I think there is a real need to address the potential confusion and problems associated with this issue in British theatre, especially for the third, fourth and fifth generations living here. Belinda: What do you want your play to provoke in the audience? Lizzy Dijeh: oh, many things but primarily three-fold: 1) An awareness of the dangers of tribalistic attitudes (that exists in varying degrees within all of us) and the challenges this presents to the promotion of a modern, multicultural Britain; 2) an awareness of the vulnerability of the young in relation to competing cultural ideologies and their need for a balanced education; and 3) a sense of urgency in tackling the changing face of 21st century global and national extremism – the potential it presents in its spread to other traditions, ‘causes’ and cultural groups and how intrinsically linked the two are especially in relation to Britain. Belinda: What is the overall message or point of discourse that you would like to see evoked or arise from this year’s festival? Lizzy Dijeh: That the African writing tradition is alive and well in theatre and as popular as ever! Lizzy Dijeh’s Play, Message from a far Country is at the African Centre on Friday 7 & Saturday 8, October 2011. This entry was posted on Wednesday, October 5th, 2011 at 12:35 pm	and is filed under Africa, Art and Culture, Black Britain, Interviews, Journalism, Theatre Interviews. You can follow any responses to this entry through the RSS 2.0 feed. You can leave a response, or trackback from your own site.